Q: How and where do I submit my resume/application? You may electronically submit your resume and complete an online application. Once you’ve found the job you are interested in, click on it to review the job description and then simply click the “Apply Online” button. This will take you through the process for submitting your resume and application. Q: Do you accept resumes and applications that are not for a specific position? All resumes/applications received must be for a specific job. We are not able to keep unsolicited resumes and applications on file. Q: Is it necessary for me to both complete an application and submit my resume? Yes, it is important to complete an application as well as submit your resume. We ask for certain information to get to know your qualifications more thoroughly. We feel it is important to us to know what job you are most interested in, what wage you are looking for, why you left your previous employment, why you want to work at Silver Star Brands and many more questions. Asking such questions on the application helps streamline the process for you. After all, if you’re the right candidate, we want to get you hired as quickly as possible! Q: What should I do if I have problems submitting my resume? You can stop by 2155 S. Oakwood Rd, Oshkosh, or 250 City Center, Oshkosh, for help completing your application and submitting your resume. You may also call 920-231-3800 and ask the operator to connect you to the Human Resources Assistant. Q: How long will my resume/application be kept on file? We keep resumes/applications on file for one year but ask that you submit your resumes/applications for openings you are interested in as they become available. Please update your resume and application each time you apply for a position. Having the most up-to-date information on file will help Human Resources determine if you are the best match for the open position. Q. After I submit my resume/application how long will it take before I am contacted about scheduling an interview? After electronically submitting your resume/application, you will immediately receive an auto reply to the email address you provided. A Human Resources representative will review your information and contact you if you are a viable candidate for the position. Q. How often are Silver Star Brands jobs postings updated on your Web site? We update our job postings continuously and remove positions as soon as they are filled. Yes, we have paid internships available. Please contact UW Oshkosh Business Success Center or Fox Valley Technical College directly to apply for our opportunities. If you are not a student at either of those schools, please contact our Human Resources Department at (920) 231-3800. Q: What is the typical process like for someone to get hired by Silver Star Brands? Each position is a little different. Candidates will need to interview with Human Resources either via the telephone or in person. The hiring leader typically will do a second interview; sometimes they will ask others on their team to be involved in that second interview. At Silver Star Brands we believe that finding the right candidate for the position requires a team effort and input from more than one person. Some positions require testing candidates on ten-key and data-entry, and some positions require candidates to complete a profile assessment. During the interview process, you have an opportunity to determine whether Silver Star Brands is a right fit for you by asking us. Q: What will my first day or days look like? Will I get trained? We have a complete on-boarding process for all employees. We go through a complete orientation checklist, set goals and expectations, allow you time to meet your co-workers, and explain the safety and evacuation procedures to make sure you have the information and skills to stay safe on the job. While each position is slightly different, you will receive training to be successful at your job! Q: What is the team like? Each team within Silver Star Brands is a little different and has its own dynamic. Some teams go to lunch each day, while others get together outside of work to play games and sports and just enjoy each other’s company. In general, the teams are collaborative, friendly and inviting. You’ll find your teammates to be curious, goal-driven and fun. Our professional culture is relaxed and open. Each team member deepens the character of the team overall. And, that’s part of what makes this a great place to work! Q: What does the company hierarchy look like? At Silver Star Brands, we pride ourselves on an approachable hierarchy. Regular interaction between teams, team members, managers and interns is a common occurrence. Q: What are my chances for advancement in the company? Many of Silver Star Brands managers have moved up within the company, including our company president. We offer professional development options as well as countless on-the-job opportunities to showcase and develop your skills and leadership abilities. Q: What are the basic areas of work that Silver Star Brands offers? At Silver Star Brands, we offer careers in finance, human resources, e-commerce, information systems, marketing, operations, product planning, merchandising, creative services and customer relations. 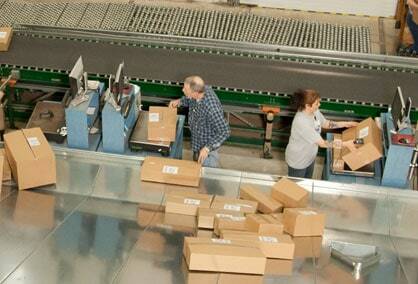 Our seasonal jobs include fulfillment, printing, embroidery, customer service, warehouse and more. Q: Why did you change your name to Silver Star Brands from Miles Kimball Company? Silver Star Brands is a family of companies, including Miles Kimball, Walter Drake, Easy Comforts, Exposures, As We Change and Native Remedies. Our new name helps us tell our story: The precious metal, silver, represents our team. It is also a daily reminder of the customers whose lives we work to enhance. The star signifies our goals and journey to provide the best products and service. The word ‘brands’ describes the work we do as a brand management company. Q: What does Silver Star Brands do to ensure employee health and wellness? In addition to the employee benefits (which include health, dental and vision insurance), Silver Star Brands’ team includes the “Wellness Connection.” The goal of this team is to focus on education, prevention and intervention. The team coordinates on-site flu vaccinations, fitness activities, healthy options in vending machines, and health intervention and education programs.